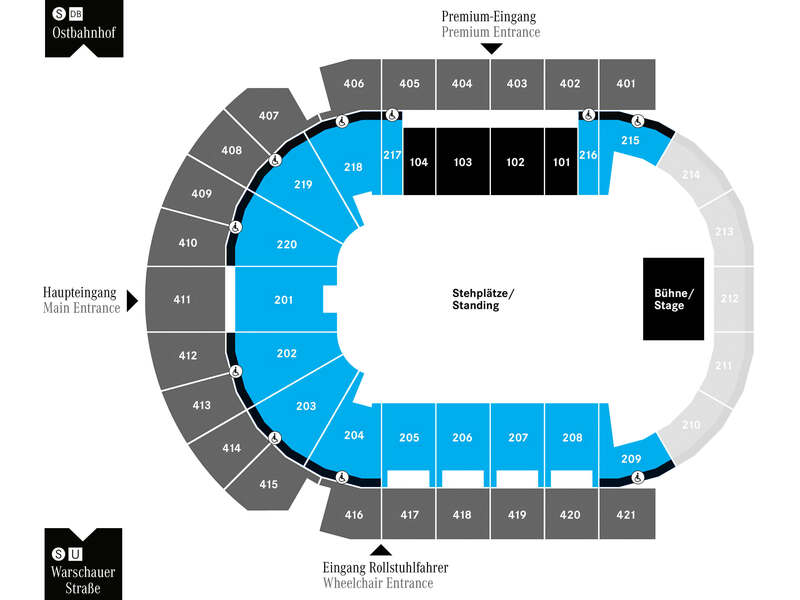 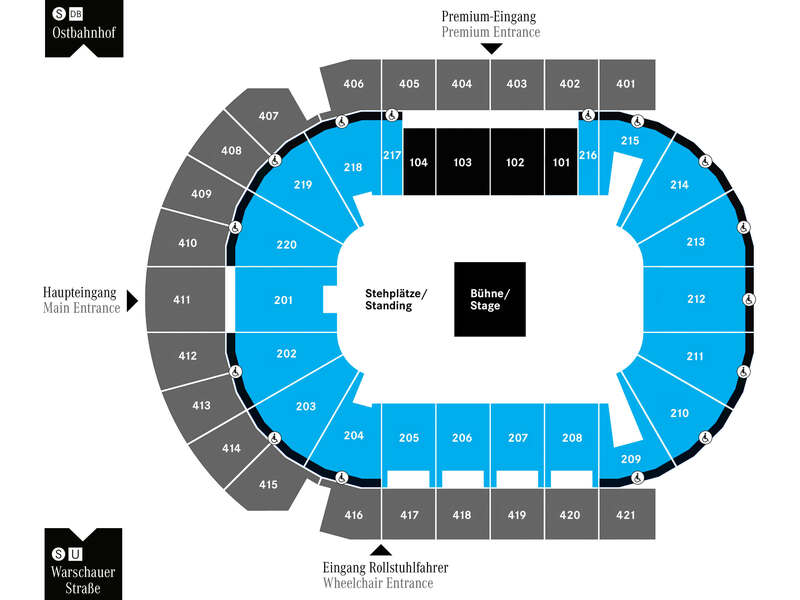 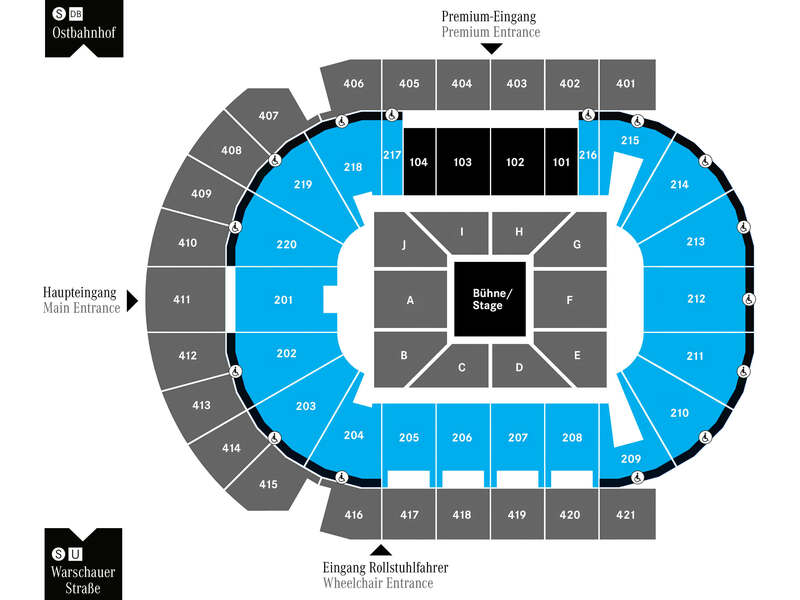 The Mercedes-Benz Arena is equipped with several standard seating charts: During concerts and entertainment shows different stage alternatives are available using either a middle or an end stage with floor seating or standin. 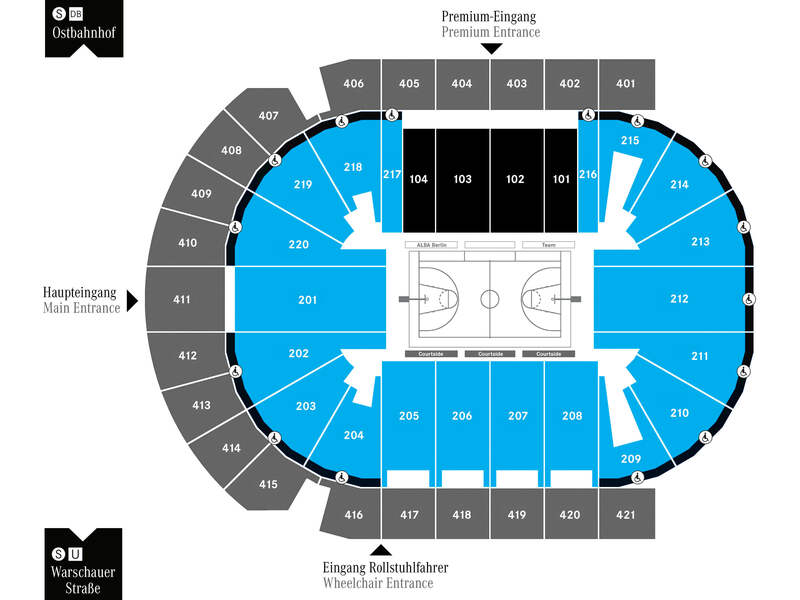 Furthermore, the Mercedes-Benz Arena is the home arena for several sports teams: ALBA BERLIN and the Eisbären Berlin require different seating. 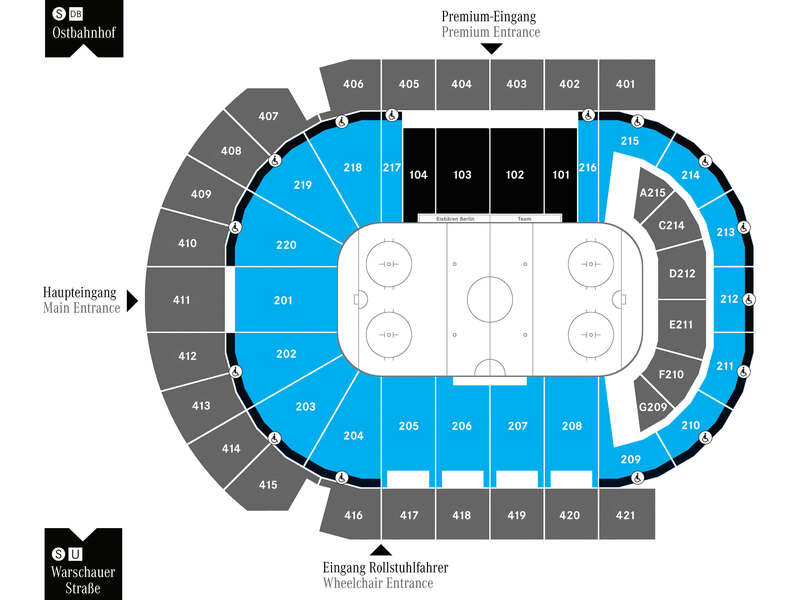 Depending on the event minor deviations are possible.